This entry was posted on Friday, June 26th, 2009 at 5:00 am and is filed under Photography. You can follow any responses to this entry through the RSS 2.0 feed. You can leave a response, or trackback from your own site. 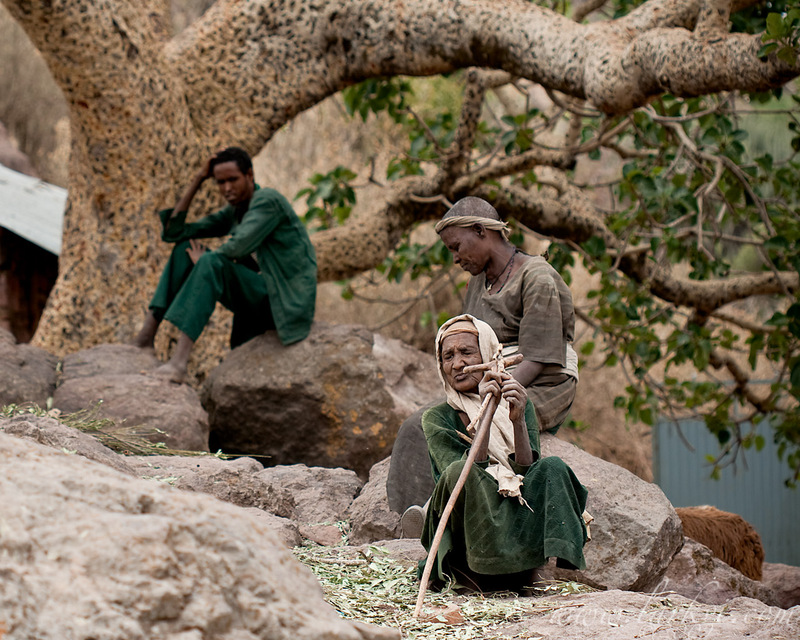 Pilgrims sit under a tree in front of Bilbala Gyorgis Church, near Lalibela, Ethiopia. Most have spots of skin smeared with the holy mud cure that makes the church an attractive pilgrimage site. Large trees, especially sycamores, as here, are associated with churches and gathering-places in Ethiopia. In the Southern part, they are holy sites for animist cults, and it is thought that they may have had religious significance in pre-Christian times.